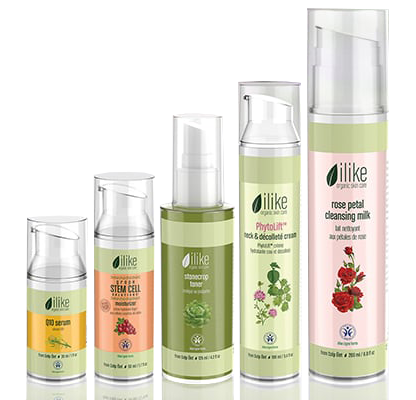 iLike Organic Skin Care – Whole. Raw. Real. The iLiKE organic skin care products are made with certified organic ingredients, certified by BDIH and every year new products are introduced that meet the same strict organic and sustainability standards. These standards include: certified and controlled organic raw material use, sustainable farming and harvesting, no animal testing, no synthetic ingredients even as preservatives, no genetically modified ingredients and ecological and social responsibility. Every iLiKE product is full of vitamins, fruit acids, bioflavonoids and other antioxidants. Combined with other active ingredients, they treat nourish and beautify the skin, rejuvenating from the inside out. You will instantly notice the difference between iLiKE and other skin care lines. Because we strive to maintain the natural state of the herbal ingredients, iLiKE organic skin care products contain no artificial ingredients and you will see, smell and feel the difference.